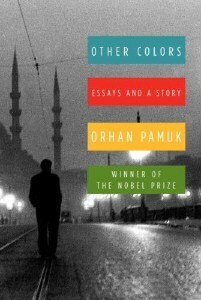 Pamuk’s ?rst publication since his 2006 Nobel Prize endows him with a satisfying sense of humanness. Resisting an opportunity to play the stage of fame as a writerly rock god, the Turkish novelist keeps things surprisingly personal. He even starts his book with a sampling of unapologetically playful prose exercises, some complete with pen-and-ink doodles, a kind of calisthenics that keep his work limber and inventive. Pamuk offers songs of praise to writers whose spirits run through his pen: Dostoyevsky, foremost, and a half dozen others. Notable, too, is “My Father’s Suitcase,” a moving tribute to his father’s encouragement, and to the life of the writer. Pamuk gave the essay as his acceptance speech in Stockholm.